Priced to sell immediately, "As Is". Spectacular Palolo Vista! Very rare opportunityâ”2 separate homes on this Â½ acre property which make up 3 rentals all with private entrances. Location, Views & Income Potential! Options to realize your dreams in this unique propertyâ”Make it your single family home with 2 rentals to grow your investment portfolio. 2 Parking Spaces. 2 Car Garage, Carport, Street Parking. 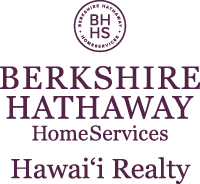 I am interested in 1967 10th Avenue, Honolulu, HI 96816. Courtesy: Five Star Realty, Inc.
Sign up for Inside AccessTM to view recent sales near 1967 10th Avenue. This content last refreshed on 4/23/2019 1:05 PM. Some properties which appear for sale on this web site may subsequently have sold or may no longer be available.